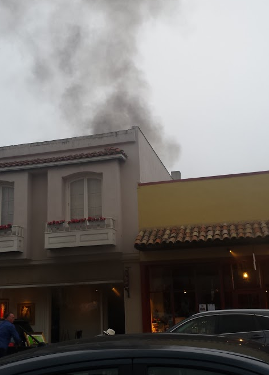 CARMEL, Calif. —A fire got started Saturday night in the building housing New Masters Gallery in downtown Carmel. The fire on Dolores and 7th brought in fire crews from, Monterey, Carmel, Seaside, Pebble Beach, and Presidio fire departments. The public has been going in to help save artwork from the building.